Eyelid Lift Surgery (Blepharoplasty) – Michael S. Fozo, M.D., F.A.C.S. Description: Driving from Imlay City, this patient did not like the tired appearance of his eyes. His primary goal was to remove the uneven skin folds above each eye. 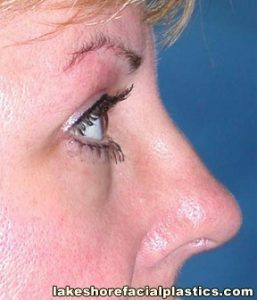 A bilateral upper lid blepharoplasty was performed, contouring the skin and underlying tissues of the upper lid. The result is a dramatically rejuvenated, younger-appearing eye. 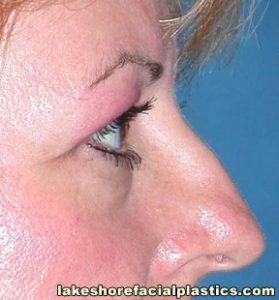 Description: This patient underwent a brow lift, upper lid blepharoplasty, and a rhinoplasty by Dr. Michael Fozo. 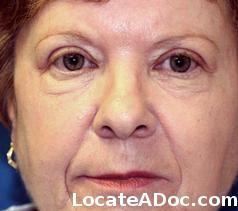 Notice the dramatic improvement in the skin redundancy, or hooding, of the lateral eyelid. Details: Blepharoplasty, brow lift, and rhinoplasty by Dr. Michael Fozo. Dr. Fozo is a board certified facial plastic surgeon with offices in Grosse Pointe, Saint Clair Shores, Clinton Township, and Macomb Michigan. Description: This patient was displeased with her tired appearance and droopy upper eyelids prior to her surgery. 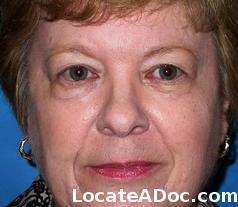 She asked Dr. Michael Fozo to perform upper lid blepharoplasty, or eyelid lifts. Postoperatively, she not only looks younger but more energetic as well. Details: Blepharoplasty performed by Michael Fozo, MD. Rhytidectomy, or facelift surgery, was performed by Michael Fozo MD. Dr. Michael Fozo is a board certified facial plastic surgeon with offices in Grosse Pointe, Saint Clair Shores, Clinton Township, and Macomb Michigan. After photos were taken 12 Months after surgery/procedure. Description: This man from the Detroit, Michigan area was unhappy with the heavy, tired appearance of his eyes. Dr. Fozo performed an upper eyelid lift that took years off his face and restored a more youthful and friendly appearance.